Lupita Nyong'o attends UK exclusive screening of "Us" at Picturehouse Central on March 14, 2019 in London, England. 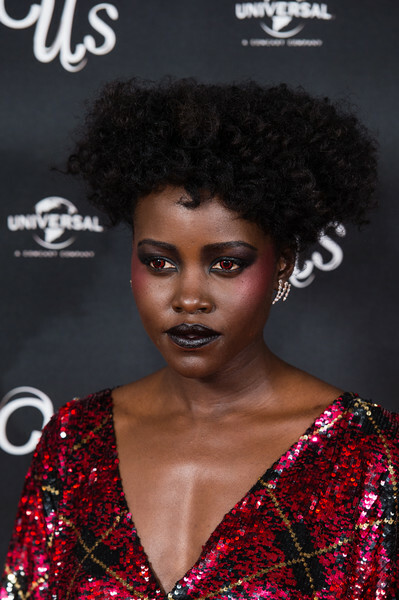 Lupita Nyong'o went for a bold beauty look with a combination of smoky eyeshadow and red contact lenses. Lupita Nyong'o finished off her edgy makeup with black lipstick.